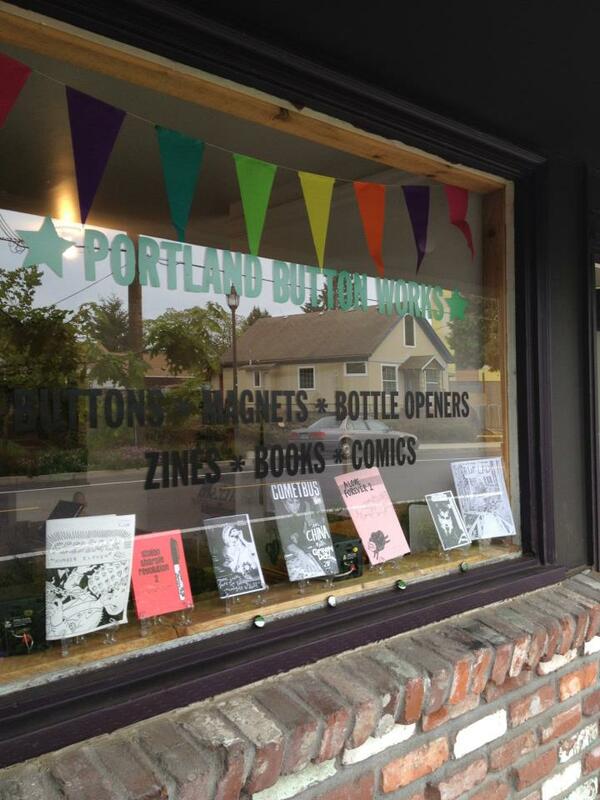 Portland Buttons Works and zine distro needs your help! We signed a lease for our brick and mortar shop in Portland, Oregon last week before I headed to Coachella to teach zines! We have signed a lease at 1322 N Killingsworth, just a block away from the Killingsworth yellow line Max stop and down the street from the PCC Cascade campus. We are totally excited about this. Right now our shop is bare and we are working the fill it up with fixtures, buttons and zines! We are also going to offer a space for people to make their own buttons in the shop. We have zines for the distro that are slowly trickling in and a friend helping us build awesome fixtures! How can you help? We have launched an Indiegogo fundraiser campaign. We wanted your contribution to be an investment for you to get something you would already want so reward levels range from copies of our zines (brainscan and All Things Ordinary), a Portland Button Works bottle opener, pre-orders of custom items, lifetime discounts on custom orders, gift certificates for when the distro is up and running, and even being able to name something in our shop! 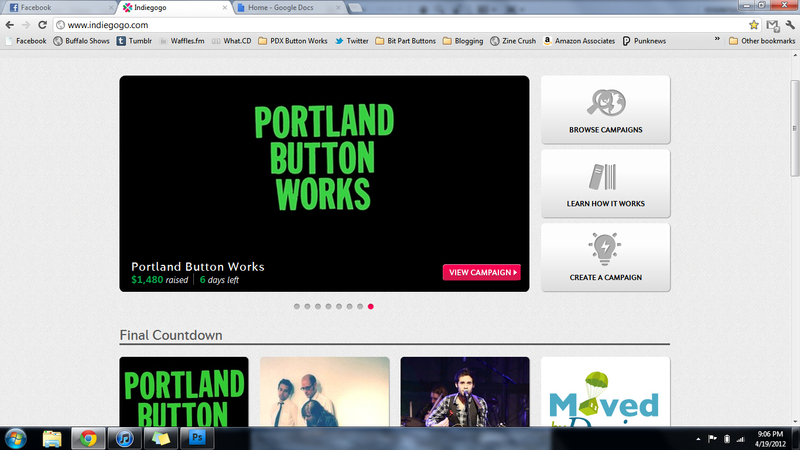 Portland Button Works made it to the front page of Indiegogo! I’m really stoked on that! While your monetary contributions would be greatly appreciated, we would also love it if you could help promote this project and spread the word about our fundraiser, or even send your zine for for distro consideration. We only have 6 more days and we just got to the half way point! Please, go here and help us out!